The Bellator MMA roster recently got some more depth. 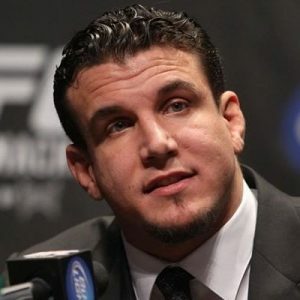 News of former UFC heavyweight (265-pound) champion Frank Mir’s signing originally broke on August 15 but has been made official through a statement made by Bellator MMA President Scott Coker. His last victory was a first-round KO of Todd Duffee over two years ago. Mir has since been dealing with issues revolving around a failed drug test on the day of the fight with Hunt. He tested positive for oral turinabol metabolites but maintained that he has never used performance-enhancing drugs (PEDs,) going on to blame possibly tainted kangaroo meat he had eaten before the fight. Mir was then suspended by the UFC-partnered U.S. Anti-Doping Agency (USADA) for a period of two years (backdated to April 8, 2016.) However, Coker said that Mir was able to sign with Bellator and he expects to have Mir fight in around three to four months. Bellator is not tied to USADA and no state athletic commissions were involved in the suspension. Had Mir stayed with the UFC, he would have not been eligible to return until April of 2018. The Las Vegas native was on the sidelines as a competitor and his employer expressed no interest in having him in the role of broadcaster, so he requested his release, which was not granted until last month as mentioned. The heavyweight legend also famously submitted WWE’s Brock Lesnar in his UFC debut before going on to win an interim heavyweight title. He would fall to Lesnar in a rematch for the gold at UFC 100 by second-round TKO. The historic UFC 100’s pay-per-view buy rate of 1.6 million buys would stand from July of 2009 until August of 2016 when it was broken by UFC 202: Diaz vs. McGregor’s 1.65 million buys.